I am a coach. I have a coach. 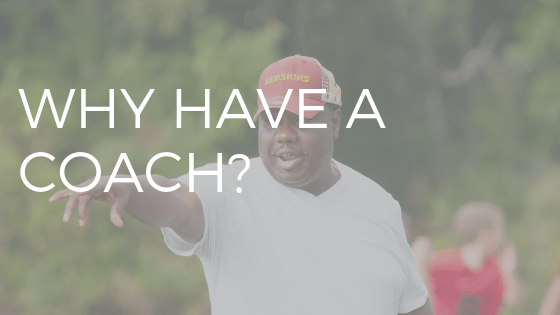 Why have a coach? The most important and valuable lessons are the ones we learn after we already know everything. There is no surer way of striving to always be on top of your game than having a trusted guide who will always tell you the truth, push you to push yourself and be brutally honest at those times when you really don’t want to face the truth. Every world-class athlete, top-performing entertainer and over-achieving businessperson has one or more people they trust implicitly, who always has their back and best interests at heart. In my many years of being a coach, having worked one-on-one with hundreds of clients, I have yet to encounter a truly successful person from any walk of life who does not have at least one person they view as a mentor/coach. This usually is a person they interact with at least once a month or more often. The whole has always been the sum of all its parts and these successful people have, unequivocally, made sure that one of the many parts that makes them who they are, is always a coach. It’s not a function of affordability. The cost of not having a coach will always be a huge multiple of the cost of having one. Having a mentor means having someone who will view your world through eyes other than yours. Frequently, that person can bring clarity, objectivity and logic to circumstances or instances where your perspective is clouded by personal biases and emotions. I don’t always agree with my coach. Truth be known, I almost always disagree with her when she disagrees with me. It’s not about being right or wrong, it is simply her way of coaching me to view topics from many different angles and to coach my clients to do the same. My coach helps me see beyond what is there, to what could be there. She has trained me to dream about what is possible and then build, and execute on, strategies to convert possibilities into realities. Most importantly though, my coach is not there to judge but, rather, to nudge. To push me gently towards my objectives and to guide what I do in my attempts to get there. None of us are ever as good as we can be which also means that we can never be at our best, we can only keep striving to get there. They say that excellence comes not from doing one thing 1,000% better, excellence comes from doing a thousand things 1% better. Top professionals seldom strive to get 10% better. They put all their effort into getting 1/10 of 1% better and then doing it again and again and again. They know that victory is measured in fractions of a second, in inches and not yards, and in consistency and not flashes in the pan. 1. Identify and quantify what exceptional performance looks like. 2. Create that which is necessary to deliver exceptional performance. If the very best in the world all have coaches to help them stay at the top of their game, make steady and consistent improvements and remain committed to excellence, then it makes perfect sense for me to have one as well.